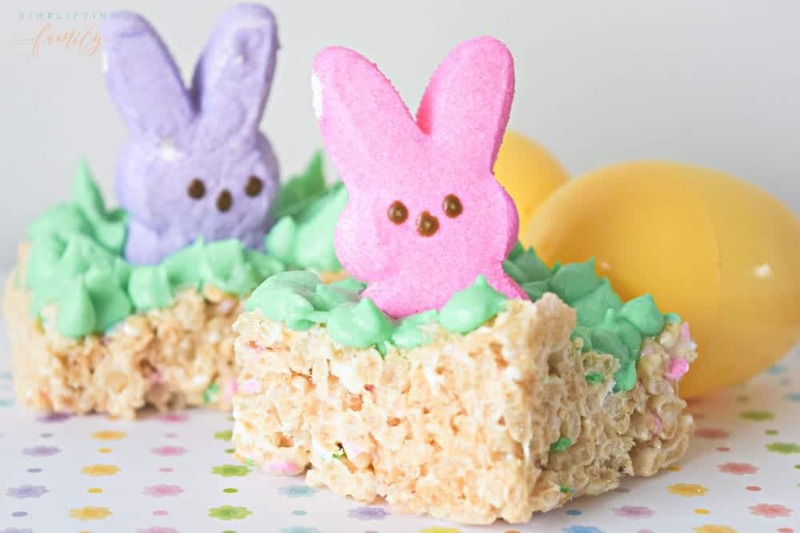 Whether you are looking for an adorable Easter treat for a neighborhood Easter Egg Hunt, an egg decorating friend gathering, Easter Brunch, or just because they are super fun, you will love these Easter Bunny Rice Krispies Treats. 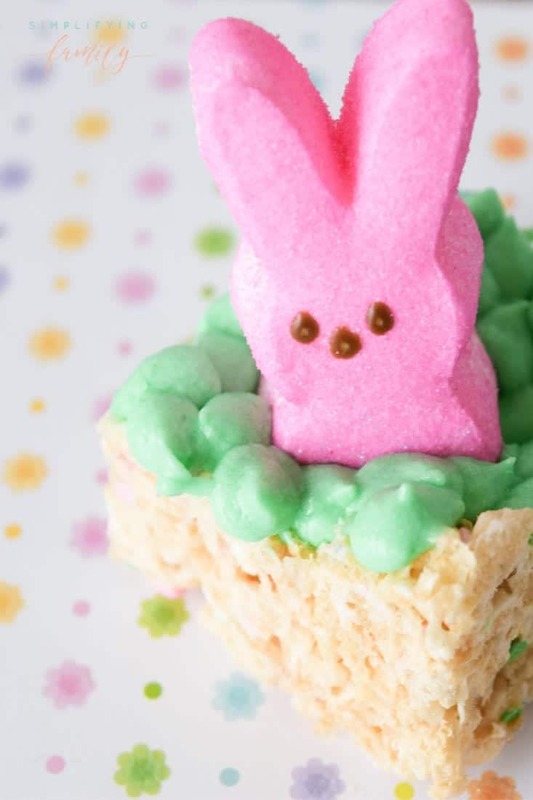 They are so easy, they are the perfect way to get kids in the kitchen to help make these adorable Easter Bunny Peep Rice Krispies Treats! 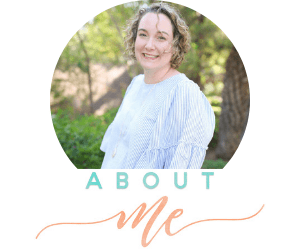 I have never been a Pinterest Mom, but I absolutely love all things cute. 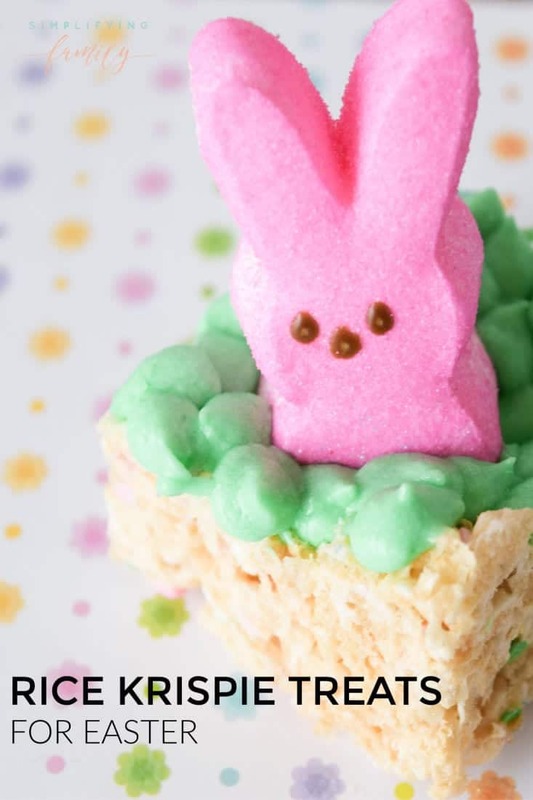 These Easter Bunny Rice Krispie Treats are perfect for children and adults alike. 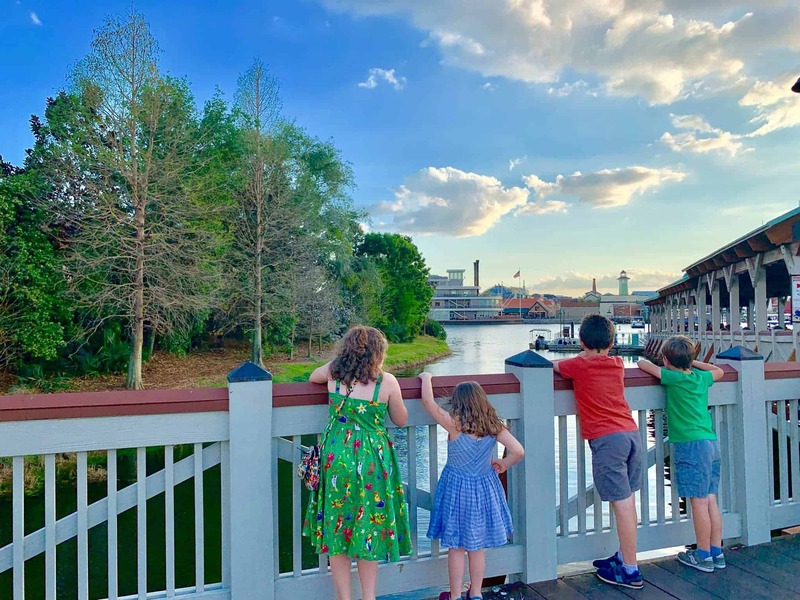 Plus, they are so easy to make, your kids can help too! 2. Add Rice Krispies. Stir until completely coated. 3. Using a buttered spatula, evenly press mixture into 13 x 9 x 2-inch pan, coated with cooking spray. 4. While the Rice Krispies are still warm, cut Rice Krispies slab into 12 squares. 5. With a spoon, make a small hole in the middle of each square. 6. Place a Marshmallow Peep (bunnies work best) into each hole. 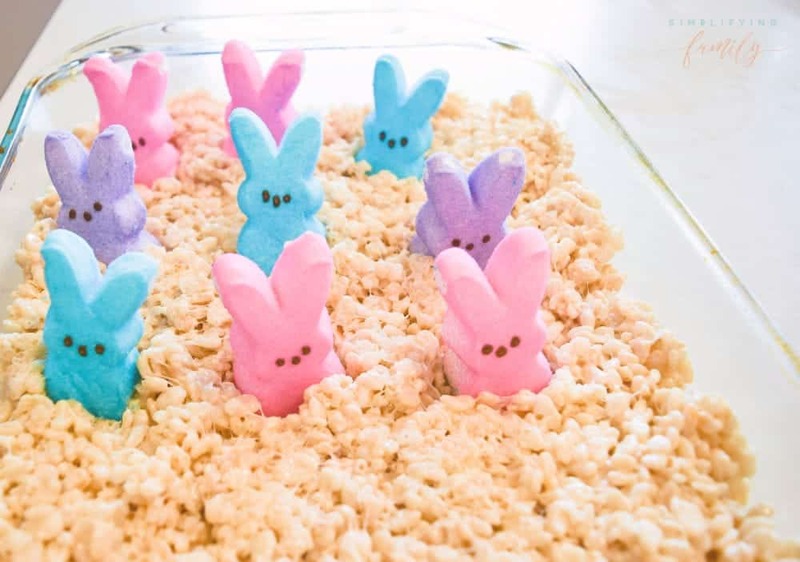 With fingers slowly close up each whole slightly pushing the Rice Krispies up against the Marshmallow Peeps to secure. 7. Next, for the frosting, combine powdered sugar and softened butter using an electric mixer in a large bowl. 10. Once prepared, add food coloring for “grass”. 11. Add frosting to the sandwich bag until the bag is about half full, cut a small hole in the bag at the tip. 12. After Rice Krispies are completely cooled and have stiffened, pipe frosting on-top by softly squeezing a small dollop of frosting onto the Rice Krispie and slowly pulling away. Do this until the entire Rice Krispie is covered. Now your adorable Easter treats are ready to serve!